The Oregon insurance industry is governed by a strict regime of regulations that are designed to protect consumers and ensure that insurance companies can operate competitively within the state’s various insurance markets. Insurance companies that operate in the state are required to comply with these regulations or risk losing their license to do business in the state or be confronted with large financial penalties. to others in a single accident, and $20,000 per accident resulting in damage to property. 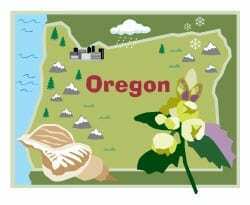 Oregon personal injury protection (PIP) insurance is required in the state. PIP coverage is an extension of auto insurance that provides benefits for medical expenses and, in certain cases, lost wages that are associated with injuries caused by a car accident. This type of coverage is often referred to as “no-fault,” as victims of accidents will receive financial compensation for medical care even if they are at fault for causing the accident. In Oregon, the minimum level of coverage PIP policies must offer includes $15,000 per person and $25,000 per uninsured motorist. The state is one of the only that currently has an established an Oregon health insurance exchange program, called Cover Oregon. The exchange acts as a virtual marketplace, providing consumers with access to affordable insurance policies. State residents are not required to purchase or maintain health insurance coverage by state law, but will be required to do so by federal law in 2014. Cover Oregon is expected to assist consumers obtain the coverage they need by this time. As in other states, Oregon does not require property owners to purchase property insurance polices. The state advises that homeowners and businesses protect their properties with insurance coverage, however, because of the threat of natural disasters and other incidents. As a northwestern state, Oregon receives an ample amount of rainfall, which can often cause flooding in some parts of the state. Typical Oregon homeowners insurance policies do not offer protection against floods and consumers must receive coverage through the federal National Flood Insurance Program.